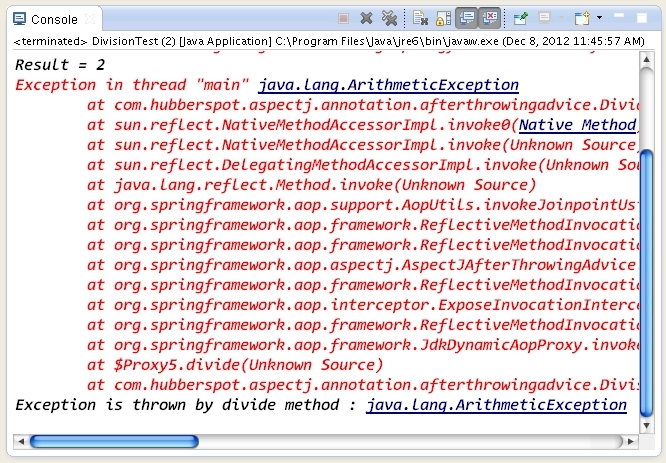 How to implement After Throwing Advice using @AspectJ Annotation-Driven AOP in Java ?. A simple application to demonstrate how to implement After Throwing Advice using @AspectJ Annotation-Driven AOP in Java. // implemented by providing @AfterThrowing annotation. // divide of Divide interface. // to the afterThrowing method.